For the January 2018 edition of HOMI Milano, the Lifestyles Trade Fair, we have prepared a brand new catalogue dedicated to our new Glory 2018 Collection. Beautiful products that will certainly satisfy our most sophisticated customers. 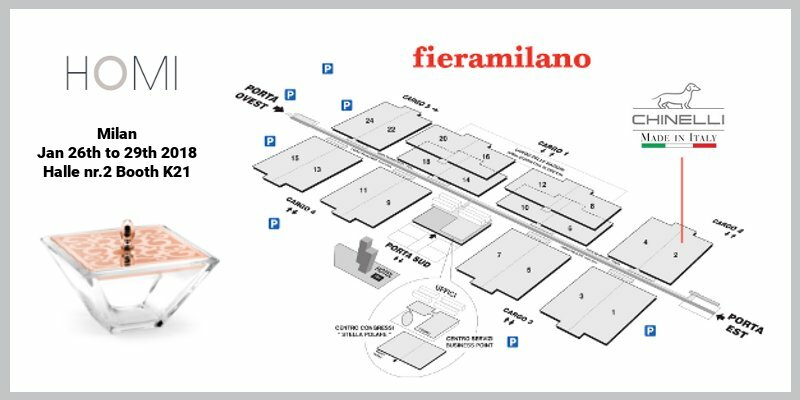 Come and visit us, we will be in Hall 2 – Stand K21 from January 26 to 29 2018. Contact us now to allow us to better manage your visit.